A Swiss born sculptor, painter, architect and industrial designer, Max Bill (1908-1994) studied at the Bauhaus in Dessau and later, together with Inge Aicher-Scholl and Otl Aicher founded the Hochschule für Gestaltung school of design in Ulm, Germany. In the early 1950s, the German watchmaker Junghans, were keen to commission an artist to create a kitchen clock, eventually approaching Max Bill. 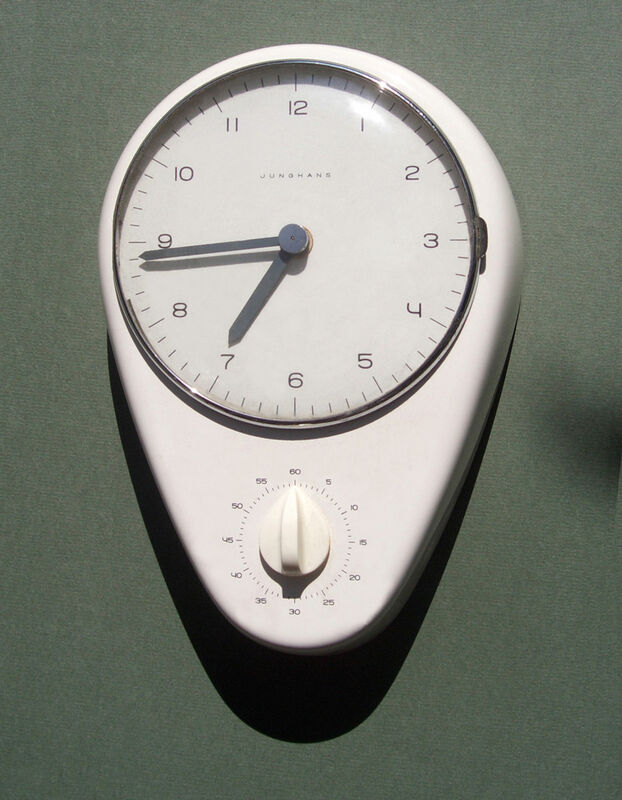 The Bauhaus aesthetic had a profound influence on Bill’s work and the kitchen clock that the artist designed for Junghans in the mid 1950s (see image above) was stripped back to the essentials and had a clean, utilitarian design. The dial was unfussy with straight baton indexes and plain, slender Arabic hour numerals. Beneath the dial a kitchen timer was integrated, the form of the clock’s case gently tapered around it. 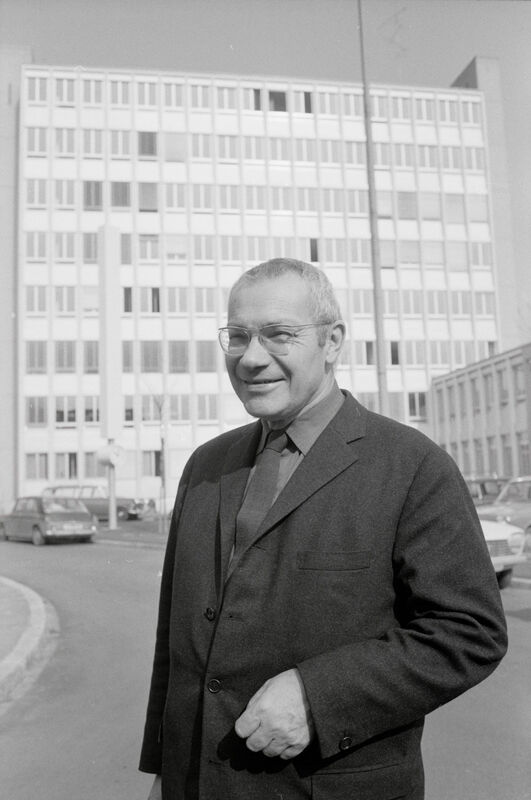 In 1961, Max Bill designed his first wristwatches for Junghans. Like his clocks, the dials of the watches were clean and linear in design. 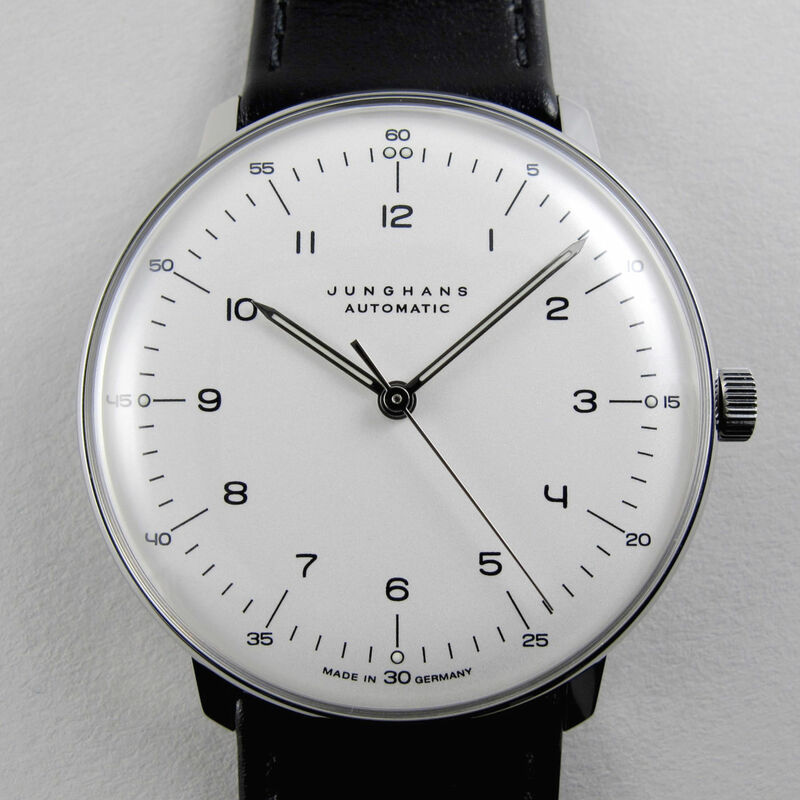 Today Junghans manufactures a series of wristwatches that are based on the original designs that Max Bill developed. Above is an example of a new model in current production and the influence of the original kitchen clock’s aesthetic is clear to see, especially in the identically designed Arabic numerals. The contemporary Max Bill series of wristwatches are produced by Junghans in consultation with the heirs of the designer and the Max, Binia & Jakob Bill Foundation. 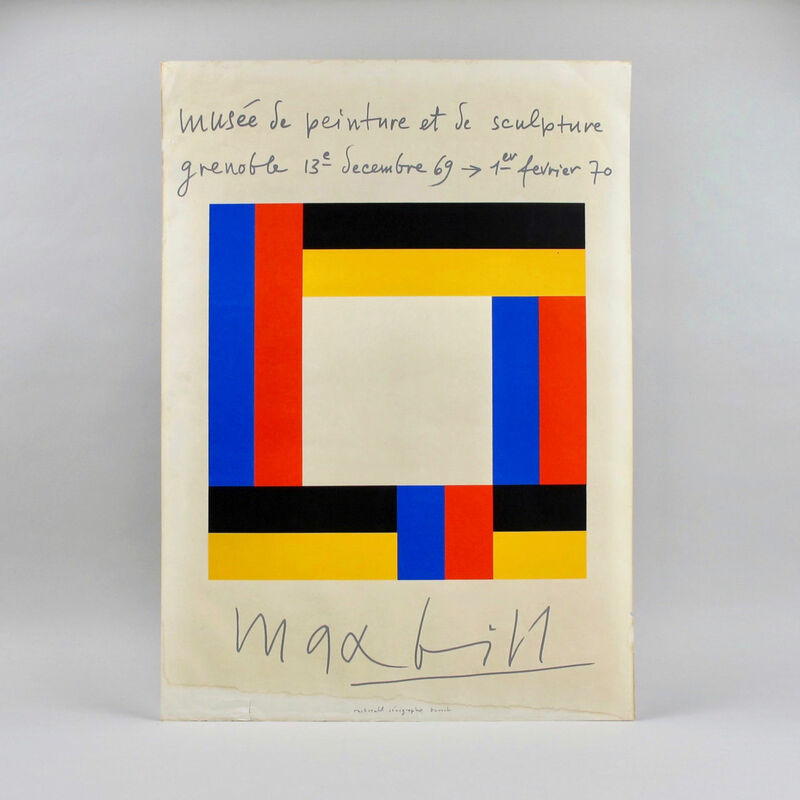 Max Bill’s output included a wide variety of art forms and although he referred to himself as architect he might perhaps be better described as Master of the Modern Movement in all of its many manifestations. The above poster was designed for an exhibition in Grenoble in 1969; his talent for graphic design had been spotted at an early age, winning a National competition at the age of 17 for a design for the chocolate company Suchard and later in life resulted in the commission for the poster for the Munich Olympic Games in 1970. All of his work was governed by a mathematical interest in the interplay and vocabulary of basic geometrical forms and colours.